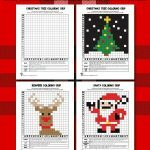 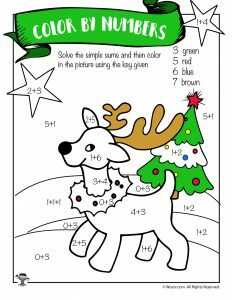 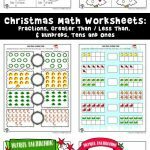 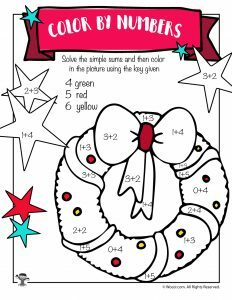 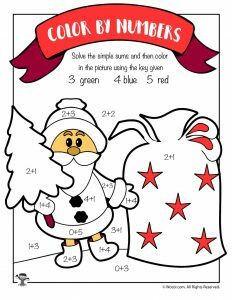 These Christmas themed math worksheets for elementary schoolers are 1st grade or 2nd grade level math. 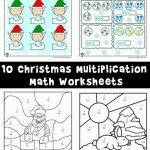 Addition sums in double digits from 1 – 20. 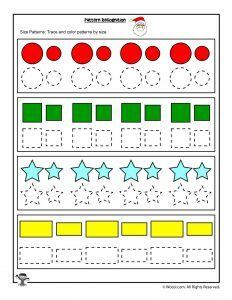 Subtraction differences in single digits from 1 – 10. 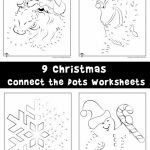 They feature a puppy and a penguin ready for Santa! 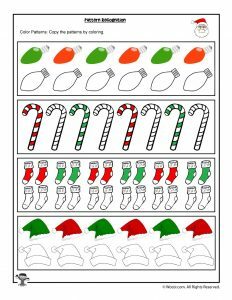 We also have more advanced Christmas math worksheets for older kids and tons of Christmas word puzzle worksheets for a wide variety of ages, too! 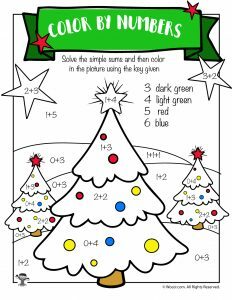 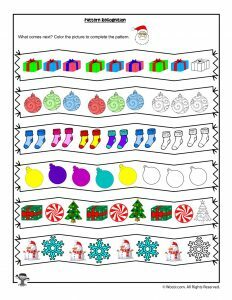 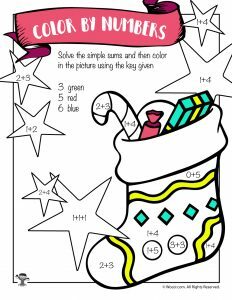 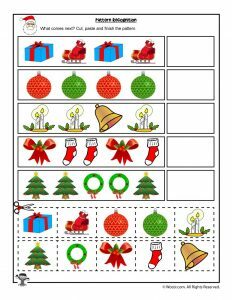 For this same age level, try our Christmas worksheets that teach fractions, greater than / less than, & hundreds, tens and ones. 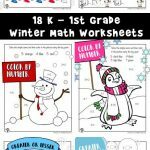 Just click on the images below to bring up the full size math worksheets. 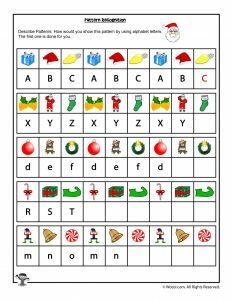 Use our special “Click to Print” button to block the rest of the page and only send the image to your printer. 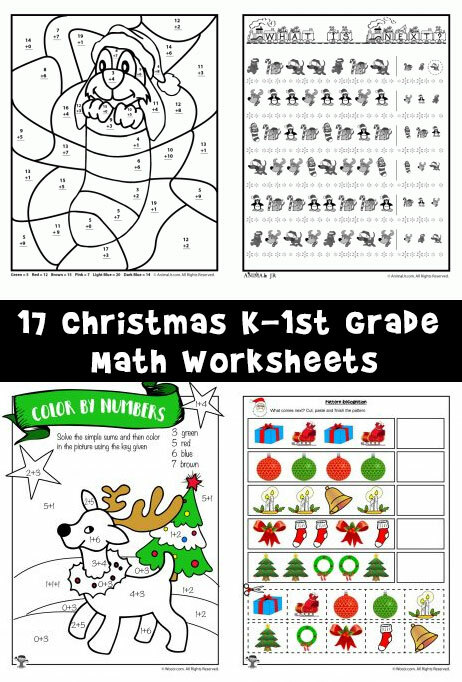 Here are more Christmas math worksheets for pre-kindergarten through 1st grade. 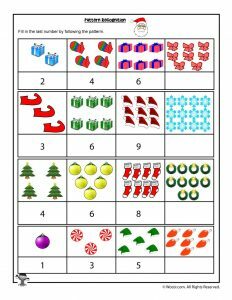 These teacher worksheets include simple addition with sums below 10 and pattern recognition. 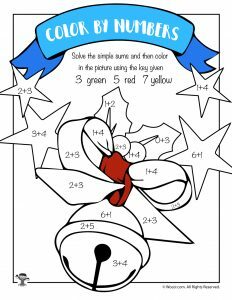 Thanks for providing a fun and FREE activity that the kids absolutely love!